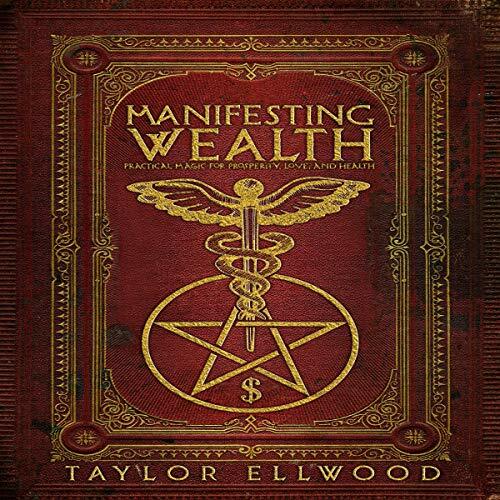 In Manifesting Wealth: Practical Magic for Prosperity, Love, and Health, Taylor Ellwood shares a holistic approach to wealth magic that focuses on all areas of your life. True wealth, while involving finances, also includes your health and your relationships. In this audiobook, you'll learn how to manifest wealth by exploring what wealth really means to you, as well as as how you manifest it in your life. How to proactively plan for a happier, healthier life. How to define what wealth means to you and start manifesting it in your life. How to create and sustain proactive relationships with the people in your life. How and when to apply real magic to manifest prosperity in your life. If you want to manifest wealth, you need to learn the skills that will help you proactively and holistically manifest it as an enduring part of your life. This book will teach you those skills and the practical magic to manifest prosperity, love, and health.